I’ve always loved Australian/Korean designer Yeojin Bae’s designer aesthetic. She makes very feminine and beautiful dresses. I was browsing the David Jones Australian designer section of the department store and just fell in love with Yeojin’s latest season! All the printed silks are just so pretty, youthful and SPRING! I had to oggle her entire collection on her website, and I was charmed to find out that her inspiration for this season’s line was “All things French”! How in theme with my venture to start learning French! 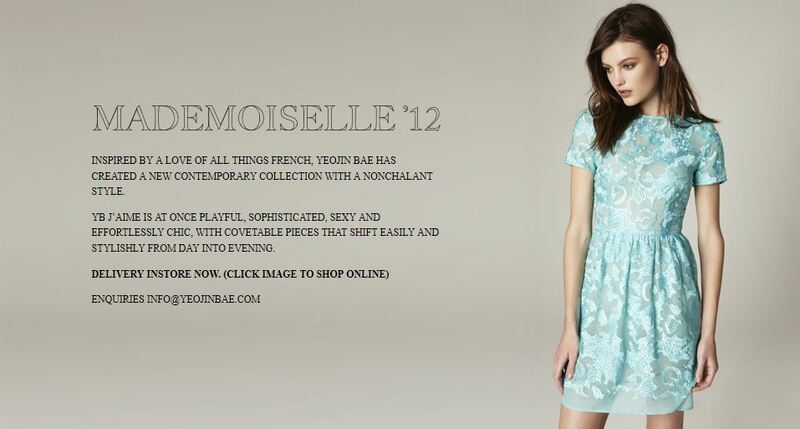 I posted some of my favourite images from the Mademoiselle ’12 YB J’AIME line. Just love it! The touch of these silk print fabrics is amazing! Love the Red. So romantic. I can see myself wearing this for Spring, Christmas and even Chinese New Year!!!! 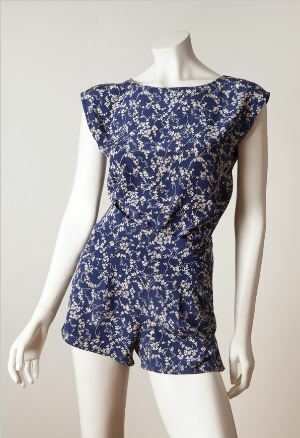 Even though this looks like a romper, it’s actually 2 pieces. Very cute to mix and match. I love love LOVE this cami! When I saw it on the rack I had to restrain myself. It’s so pretty, beautifully sewn together and made of lovely silk fabric. This has got to be a classic floral print dress in a timeless cut. Who would not look at a woman wearing this dress? I love these dresses. Especially the red, the first and the last. Silk is one of my favorite fabrics. it really is easy to care for and very durable. Thanks for the photos. I love them too! I think the style is quite feminine and timeless. Where can I buy one of theses Sus?